Get to know how Pat, age 65, got back to his favorite outdoor activities after working to relieve his knee pain. The Pain: Pat, age 65, had sprained his knee years ago, but had not had any recent trauma. However, the pain in his right knee, that he had dealt with for several years, had started to worsen. In addition to his knee pain, he started having discomfort in his thigh as well. 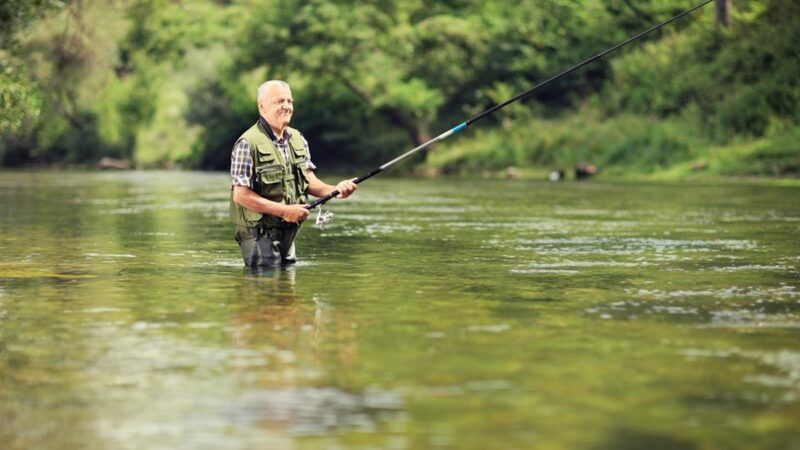 An avid outdoorsman, Pat was no longer able to fully flex his knee, which meant he couldn’t enjoy his beloved outdoor activities anymore. The Program: Pat’s dedicated physical therapist prescribed him manual physical therapy and therapeutic exercise, to be completed over 8 visits in 4 weeks. The Result: After undergoing his prescribed physical therapy treatment, Pat’s knee pain is now only occasional and minimal—a huge improvement from where it was earlier. Pat is back to doing his 2 favorite things: hiking and fishing. He’s got his full range of motion back, and he walks 30 minutes every day without any pain. If you’re not getting your outdoor time in because of your pain, contact us today to learn how we can help you get back to your next adventure.